Oversizing is a trend that has been around for a few seasons – so it is not brand new, but it is worth investing in the oversized or cocoon coat. It completely transforms any outfit, remaining functional and ideal for cozying up during cold days of winter. Bigger doesn’t always mean better, but when it comes to investing in a new fall coat. This season’s outerwear trend is all about chic oversized silhouettes that take a cue from menswear-inspired silhouettes. Not sure where to start? These basic guidelines below should help! Wear body-skimming pieces underneath to help balance the bountiful coat. Skinny jeans or leggings are great casual pairings, while a pencil skirt or cigarette pants are dressier options. Pairing an oversized coat with shorts or mini skirts is so on trend right now. A shorter hemline under a longer coat is a chic way to offset the volume on the top half. One important factor to choose the right oversized coat is determining the shoulder seam. Make sure it doesn’t fall more than 5cm below your actual shoulder. Give a baggy coat some shape by cinching it at the waist. With coats made of thick, heavy materials, choose a belt that's wide and sturdy. This is also a great trick to accentuate your curves. Wear heels to give yourself some added height and lengthen your silhouette. The shoes will also provide a sense of proportion to your oversized ensemble. By this I mean pushing up your sleeves to bare your wrists and forearms and/or rolling the bottom of your pants to highlight your ankles. Showing skin is a foolproof way to look more feminine and give yourself a taller, leaner appearance. When it gets colder, fitted gloves, tights, or ankle booties will also do the trick. Structured totes, purses, and pointy-toe shoes have straight lines and angles that compliment your king-size coat. They’ll throw in a unique punch and exemplify the fashion-forwardness of your look. Stick to coats that are designed to be oversized rather than something a few sizes too big. 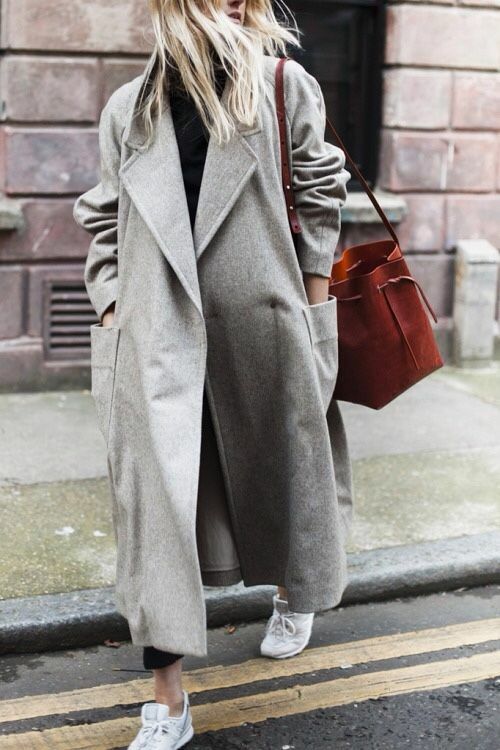 An oversized coat should look like a deliberate fashion choice, not something you found in your closet and threw on. There is a oversized coat out there for every taste. 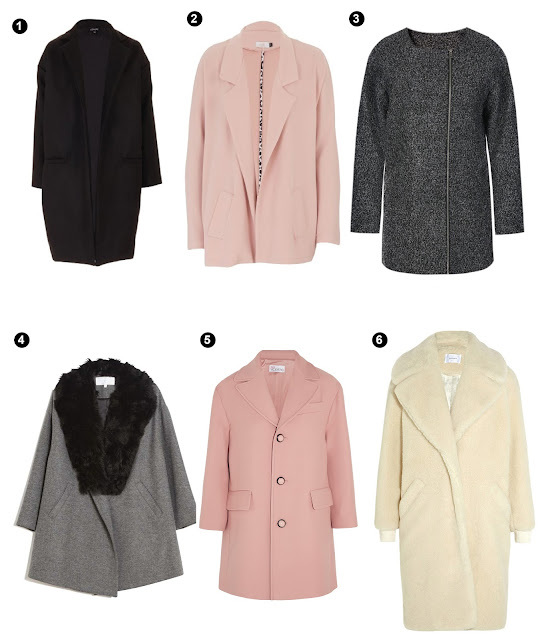 Shop my picks for the chicest oversized coat to try this season. 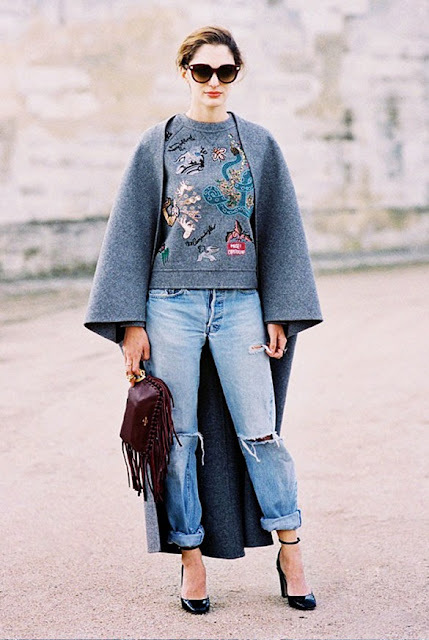 Scroll through for great ways to wear your oversized coats. I’d love to know how you like to wear your oversized coat, this is a trend you love? or if you have any questions, feel free to leave a comment below.